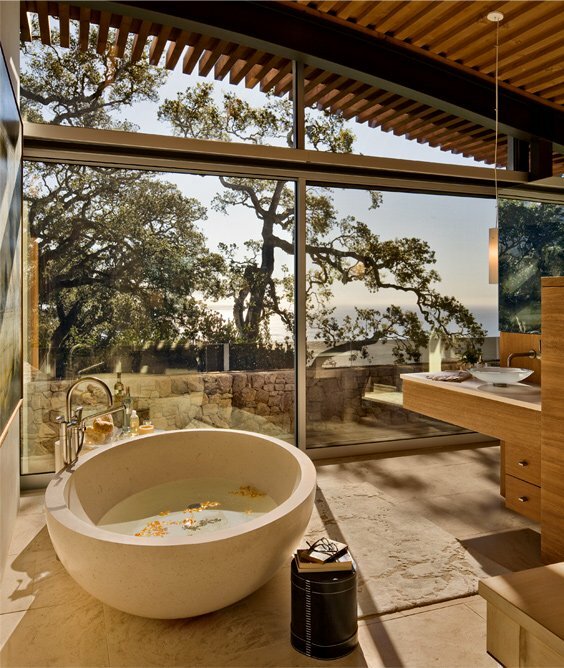 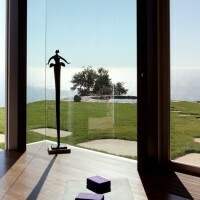 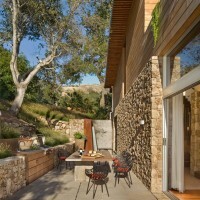 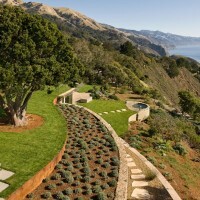 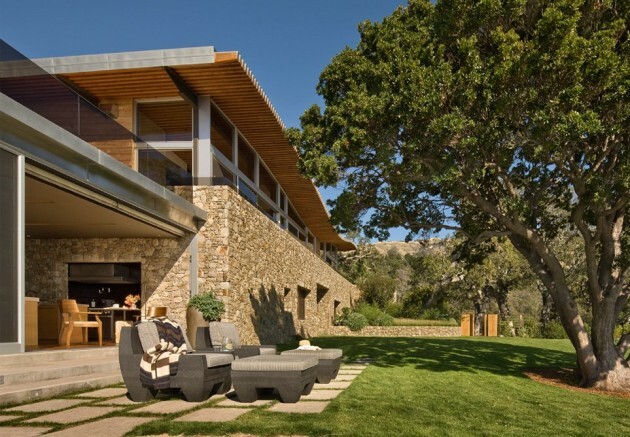 Carver + Schicketanz designed the Coastlands House for a retired couple in Big Sur, Califonia. 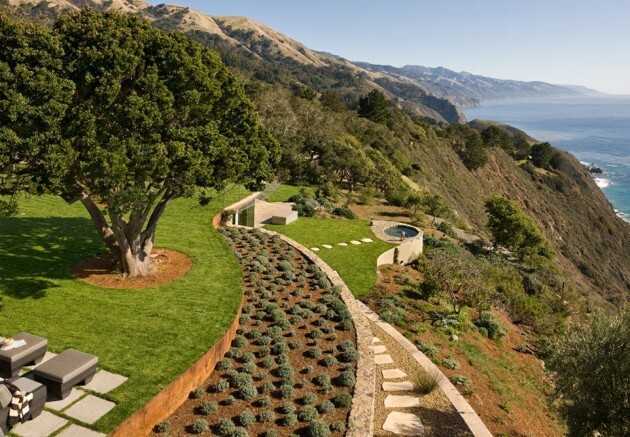 Majestic oaks dominate this north to south sloping site at the edge of the continent, the vast expanse of the Pacific lying to the West. 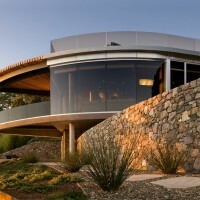 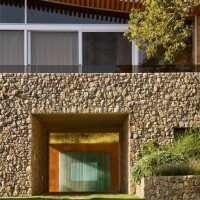 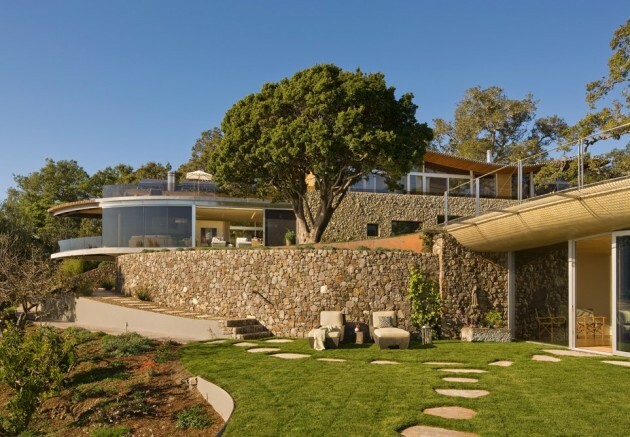 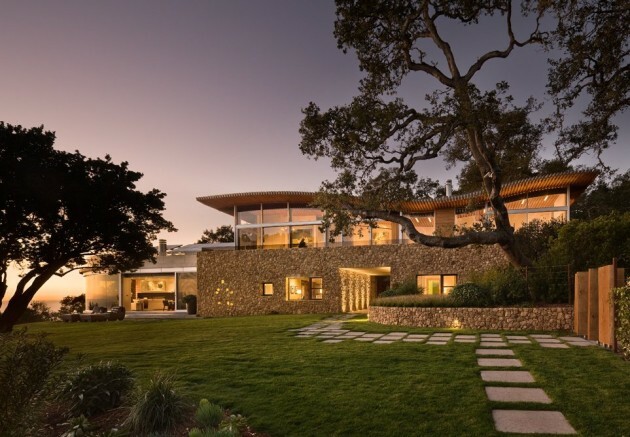 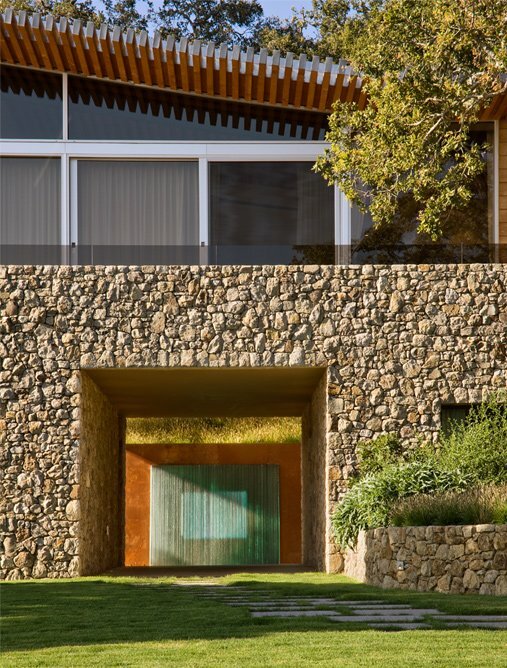 A massive stone base connects the structure to the uphill slope, contrasting with the lighter steel and glass elements of the home. 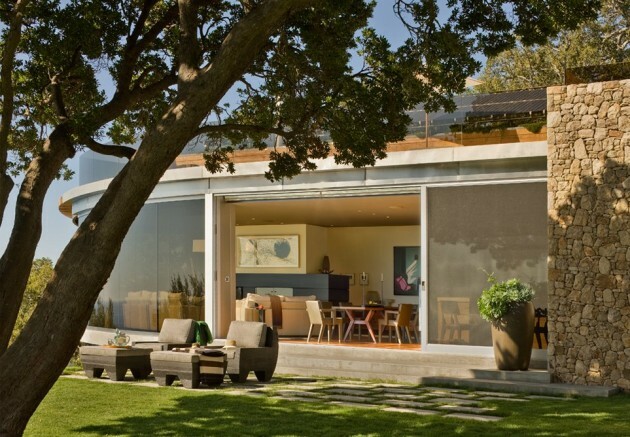 The large glass stacking sliders open to the patios beyond – providing great cross ventilation and a seamless connection to the outdoors. 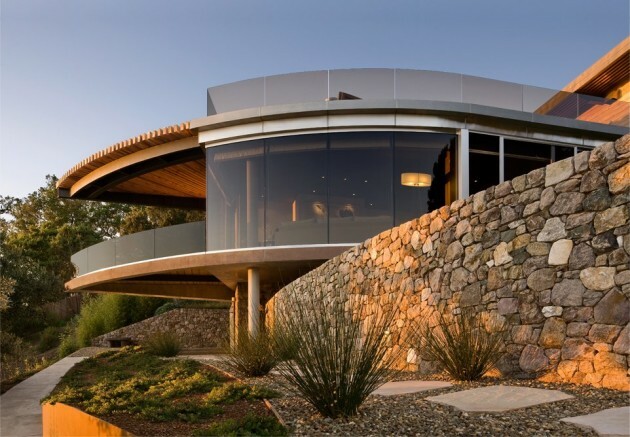 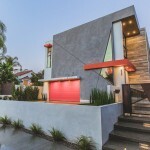 Most of the finish materials are reclaimed and the 4.4kW photovoltaic system was designed to generate 90% of the home’s power usage. 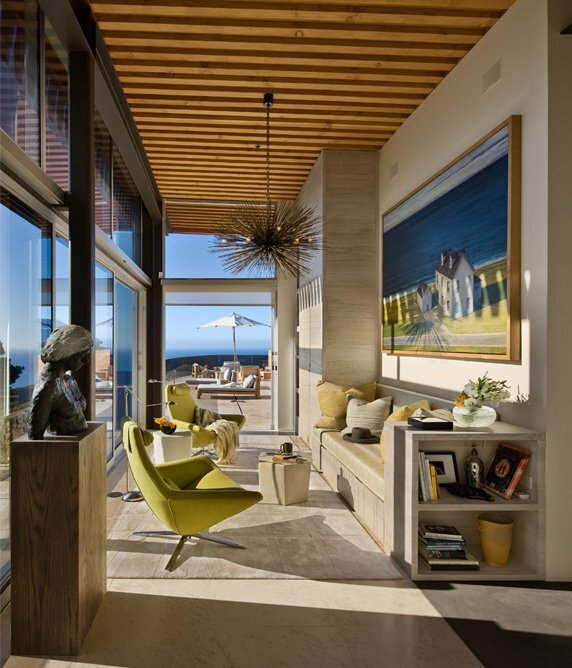 A warm but neutral color palette was chosen to complement the natural building materials and juxtapose the brilliant blues of the ocean and sky and the vivid greens of the garden and hills beyond. 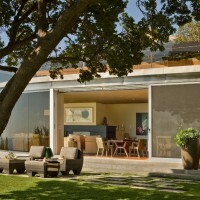 The owner’s world class art collection and a few choice antiques such as the Ico Parisi dining table lend this new space substance and partner well with the carefully sourced new furnishings. 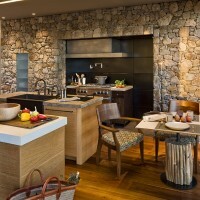 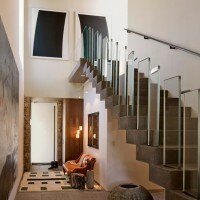 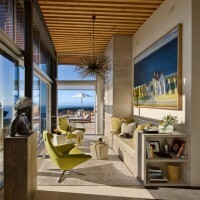 Most of the carpets and many furnishings were specifically designed by the architects for this residence.